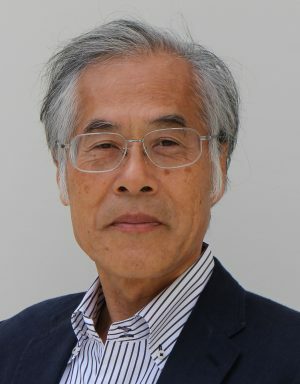 Born 1946 in Nagano, Japan. Completed a doctorate at the University of Tokyo (UTokyo). Served as a professor in the Institute of Industrial Science at UTokyo and at Kogakuin University. Currently a professor emeritus of UTokyo, a specially appointed professor of Kogakuin University, and the director of the Edo-Tokyo Museum. Began designing buildings at age 45. Has authored numerous publications related to architectural history, architectural investigation, and architectural design. Recent publications include Isozaki Arata to Fujimori Terunobu no chaseki kenchiku dangi [Arata Isozaki and Terunobu Fujimoriʼs Discussions on Tea-House Architecture*] (Rikuyosha) and Kindai Nihon no yofu kenchiku [Western-Style Architecture of Modern Japan*] (Chikumashobo). Has designed many history museums, art museums, houses, and tea houses. Recent works include the Grass Roof and Copper Roof (Taneya Main Shop and Headquarters, Omihachiman).